Meat samples from a Los Angeles company that ships ground beef to restaurants have been found to be contaminated with E. coli and a recall has been initiated, according to government officials. The U.S. Department of Agriculture’s Food Safety and Inspection Service said Tuesday that a routine check of the meat confirmed E. coli, a dangerous bacterium that is potentially deadly to young children, seniors and people with weak immune systems. The Commercial Meat Co., recalled 375,000 pounds of ground beef products most of which had been shipped to California and Arizona, officials said. No illness related to ground beef products has been reported, but officials identified the product as bearing the number “EST.4873” inside the USDA mark. The only safe thing to do is to NOT EAT MEAT. Or if you do make sure it is COOKED WELL DONE. Cook it well and it won’t hurt you. 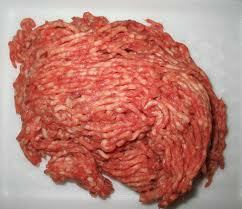 You wold be suprised the number of “bugs” found in ground beef.